So, your artwork just got accepted to a show? Congrats! Here's how to record it. How to mark a submitted Piece as "Accepted"
Click Shows in the left side menu. Then click on the Show name. 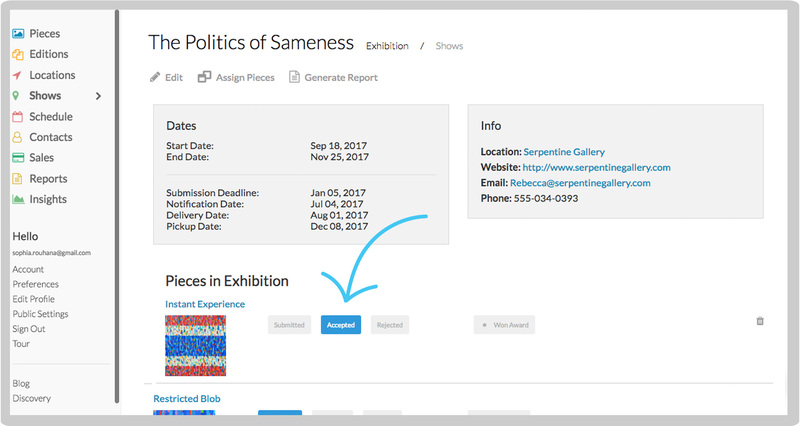 Scroll down to the Pieces in Exhibition section and check the Accepted box. Note: To mark a piece as Accepted to a competition, the piece must have been added to your Artwork Archive account and then added to the Show Record first. Click Shows in the left side menu. Then click on the Show name. Scroll down to the Pieces in Exhibition section and check the box for Won Award. Then enter the Award name and click save. 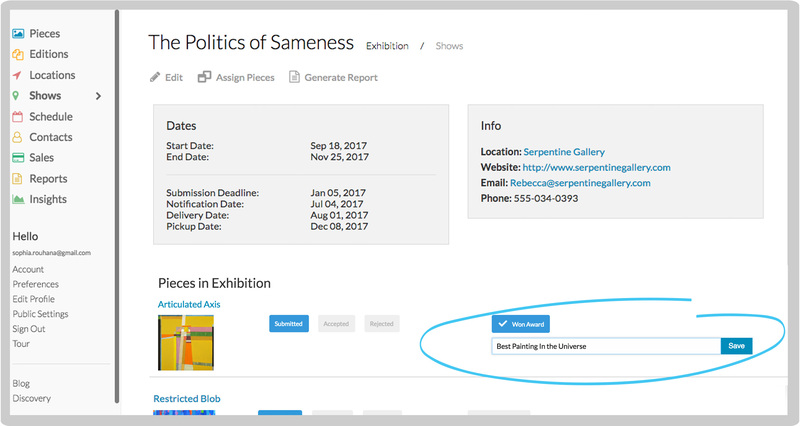 Note: To add "Won Award" to a Competition Piece, the Piece must have been added to your Artwork Archive account and then added to the Show Record first.